This is the Global Economic, Scrap Metal, Commodities and Recycling Report, by BENLEE Roll off Trailers and Lugger Trucks, January 28th, 2019. U.S. steel production rose to 1.91 Million tons on a slow growth economy and tariff protection. A terrific number. Oil rose about 25 cents to $53.69/Barrel, on a glow growth economy and with OPEC and Russia working to reduce to supply, to get prices up. U.S. oil production maintained its new record from two weeks ago of 11.9M barrels a day. This remains a great U.S. economic story as we become energy exporters. Iron ore rose 80 cents to $75.30/ton as global demand slows, but continues to grow. Scrap steel #1 fell to about $298/GT as global demand was a bit soft and U.S. scrap remained in good supply. We are hearing mixed messages for next month, both a up a bit and down. Hot roll coiled steel fell about a dollar to $33.48, near a 1 year low. Tariffs allowed higher prices, but good supply has buyers now getting lower prices. Copper rose 2 cents to $2.73 on a major mix of positives like resolving the government shut down and mixed news on China/U.S. trade talks. Aluminum was up 2 cents to 84.55, remaining neat the recent 18 month low, as the global economy slows. Aluminum prices became volatile in the past 12 hours as last night the Trump administration lifted sanctions on one of the Russia Oligarchs who was getting information from the Trump campaign. Importantly he also owns the Rusal the second largest aluminum company in the world. The IMF, the International Monetary Fund, has lowered their global growth forecast to 3.5% from 3.7% in 2019 due to weakness in Germany and Turkey, somewhat caused by U.S. Tariffs. The IMF said more risks are rising with the unresolved trade war between the U.S. and China and England’s Brexit. Lower growth, lower commodity prices and lower volumes. 2018 economic growth in the U.S. is estimated at 3%, from 2017’s 2.6%. 2019 now estimated at 2.4% growth down from an estimate of 3% rising to 4%. Some in the Government were saying we can get 6% and more, but we are seeing slowing. December’s U.S. Sales of previously owned homes, a major economic driver slumped 6.4% to a seasonally adjusted rate of 4.99M, the lowest reading since November 2015. Higher interest rates and economic uncertainty has people cautious. January’s U.S. Markit manufacturing index rose to 54.8, the highest since May of 2018, with new orders, employment and stocks of purchases rising faster. Importantly, Business optimism increased sharply. January’s U.S. Market total economic index rose slightly to 54.4 as manufacturing we just mentioned expanded off a 15-month low and new order growth rebounded from a near year low, seen in December. Week ending January 19th, initial U.S. unemployment claims fell to an almost 50 year low. A great economic story for the economy that is so far not being affected by the disturbance from tariffs and now ended Government shut down. Wall Street’s Dow Jones was up 16 points to 24,729, the 5th week in a row of gains, following last month’s December crash. Growth is slowing, but the good news is, we are growing. As a reminder that registration is open to the great Annual ISRI Meeting and Trade Show. 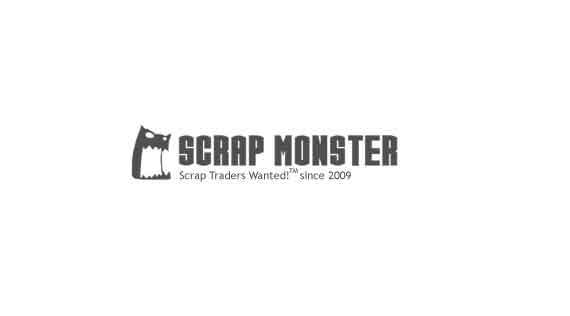 The institute of scrap recycling industries meeting remains must go to, in that it is a great opportunity to see every major supplier to the industry, network and attend great seminars. Register on line today.